The Brakspear ground basked in the sunshine as the Oxfordshire Division 1 league got underway for 2018, with last years winners of the group Peppard visiting the group runners up Henley. The game between the two highly teams was played out to a large crowd including those from the Henley Development squad and those enjoying drinks the beer garden of The Little Angel. Peppard won the toss and elected to bowl first. Opening batsmen for our first fixture in 2018 Ben Knight and Emerson Proctor dusted off the cobwebs and took to the field to face the onslaught of Peppard bowling. Emerson made 12 for the team before being bowled by H Memon. Tom Atkinson joined Ben in the middle and hit a quick 11 before being bowled by T King. Then captain Conor Quinn walked out and helped the team pass the 50 mark. 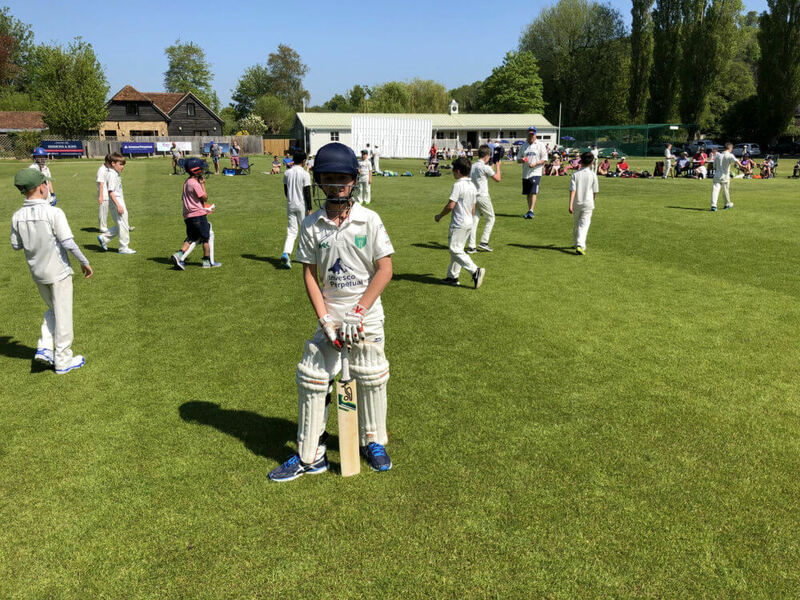 Dougie Amlot, Harry Wildgoose and Jack Bradbury playing his first hardball game all helped get Henley to 117 with Ben Knight being our opening batsmen and leaving the field not out at the end of the innings on 17. After a short drinks break Henley took to the field to defend the 117 runs. And with wickets for Ben, Tom Francis (his first ball) Fin Scott, Conor with a plumb LBW and both Harry and Emerson taking two, Henley managed to restrict Peppard to 77. Man of the match goes to Ben Knight for a doggedly determined innings on a very hot day at Henley. Next game for our U11 Oxfordshire team is Didcot away 13th May.